In search of the best backpack for traveling Europe? There are so many options out there, but choosing doesn’t have to be confusing. Expect to walk in a lot of stairs in Europe, so it is best to consider an easy to carry and comfortable backpack. Surely, there is no one-bag-fits-all pack, so where do you start? We have compiled a list of the best products to choose from. Let’s dive right into it. If you’ve ever watched an action-packed movie, you more than likely saw actors sporting lightweight, tactical vests and backpacks. As a matter of fact, you’ve probably seen real-life military personnel with camouflage backpacks that have pouches and compartments in every crevice. This equipment has a very crucial purpose, and there’s a name for it: MOLLE, Modular Lightweight Load-carrying equipment. Many NATO forces, including the United States Army, use MOLLE. The reason the MOLLE system is so popular is because it’s based off the Pouch Attachment System (PALS), rows of webbing that support pouches used for storing weaponry, equipment, and various other devices that are vital to combat. History of the MOLLE System / What is it? Although soldiers have been using leather straps to carry their weapons and equipment since the early 20th century, the MOLLE system wasn’t introduced until 1997. What did soldiers use pre-1997? The answer to that is ALICE, standing for All-Purpose Lightweight Individual Carrying Equipment. After it was adopted by the United States Army in 1973, ALICE became the go-to gear carrying system around the world because of its ability to hold multiple items in a single large compartment. On the other hand, MOLLE stores items in multiple pouches using zippers, whereas ALICE uses straps to close its pouches. While ALICE is still used today, MOLLE has definitely become the preferred gear storage system for both soldiers and outdoorsmen. The last few years solar energy has skyrocketed in popularity. Prices have dropped, they’ve become more reliable and are now at a point where they’ll probably never run out of battery. But with so many different brands and models to choose from it can be hard to know which ones are the real deal. You need to consider how well they convert power, how well they store power, their battery life, durability, and of course how much they cost. To help you out, I’ve dedicated the last 5 days finding out everything there is to know about solar watches and am here to share what I’ve learned. When backpacking, camping, or hiking, you don’t always need a backpack you can fit your vehicle in. Sometimes, especially if you’re a productive and effective packer, you can bring everything you need and not worry about packing all the extras and the kitchen sink. I know, all the women are thinking ‘But, what if I need my heels, and then there happens to be a swanky, little restaurant there, and I’ve just got to look cute.’ Well, I’m sure you already do, and all the gents I know can make do with a pair of tube socks, their toothbrush, and a pocket knife. Unless you’re planning on getting lost, then normally you won’t need anything bigger than a 40L pack. Even students, from elementary to college, can make use of a 40L. 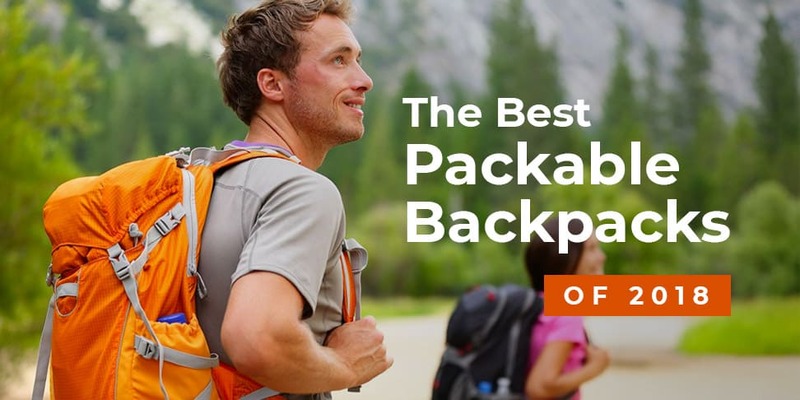 There are tons of backpacks on the market, and their price ranges vary as much as their designs do. With all the products available, a question that is commonly asked is “Which backpack is THE RIGHT backpack.” We sympathize with you. Here are the 3 packs we discuss and comparisons of each one. Hopefully, this will make finding the pack you need a more manageable affair. Osprey Farpoint 40 Backpack – Made from Nylon. Hip-belt, back panel, and harness that has a stowaway capability. Has 1 interior slip pocket, 1 interior zip pocket, 1 exterior pocket, and 6 ID windows. Has a padded shoulder strap and is carry-on compatible. Dimensions = 22″ H x 14″ W x 9″ D.
G4Free Military Backpack – Made from 600D Nylon. Adjustable and removable chest belt, and hip-belt. 2 front pockets, 3 spacious compartments with smaller inner pouches, a large main compartment with zip around closure. Dimensions = 17.72″ H x 10.24″ W x 11.81″ D.
Osprey Tempest 40 Backpack – 70D x 100D nylon mini shadow check, 210D nylon dobby. AirScape back panel, Talon BioStretch shoulder straps, and a waist belt. Main zippered, top-loaded pocket and smaller, zippered, bottom pouch. Dimensions = 26 ” H x 15″ W x 5″ D.